Head of Talent Planning & Performance at Gap Inc. Rob is the Head of Talent Planning & Performance at Gap Inc., the global fashion retailer headquartered in San Francisco. Rob’s play is in the book, Chapter 6 - Management, and is titled “Ditching performance ratings and annual reviews”. 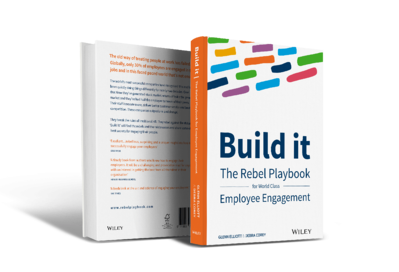 Recognizing that the annual performance review framework wasn't working - consuming an enormous 130,000 hours of time each year to complete and disliked by both managers and employees - Rob and the team made the rebellious decision to radically overhaul their approach. The result is Gap’s “GPS” performance management process - so successful that Harvard uses it as a case study for its MBA program.